Irish wave ripper Mikey Clancey scored a sick session at one of his local spots, Portmarnock. The recent signing to North/Fanatic has some great action shots and sequences over on his website HERE. Tom Malina has been in Tarifa training for the upcoming PWA slalom season. The first event of the year kicks off later this month in Italy at Reggio Calabria. A really sick edit, and we get a good insight to Tom\’s training programme and find out who his secret training partner is at 1:51! The Simmer Style and Fanatic rider seems to be on top form, so keep an eye out for him on the race course! 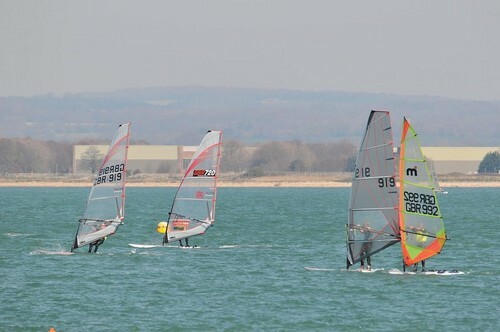 The annual \’Round Hayling\’ race on the UK\’s South Coast took place on Friday. With over 100 competitors turning up for the Starboard/Tushingham event, the winds were extremely light, but the event went ahead nonetheless with everyone battling against the tide to make it around the island. A good time was had by all, read all about it on the UKWA website. The German Freestyle Battle is into it\’s third edition now and the riders are ready to throw down some freestyle moves on the water. With the waiting period scheduled for 17th May – 10th June, expect to see top riders like Tilo Eber, Mathias Genkel and Adrian Beholz fighting for the title. Find out more on the website HERE and check out a round up of the action from last year\’s event below. Freestyler Dieter van der Eyken has shared the first of a three-part report on his winter training. Currently in Bonaire, Dieter was previously in Egypt and Australia brushing up on the latest freestyle moves. Ahead of the first event in Austria on the 27th of April, catch up with the world number eight on his BLOG. The Ezzy Sails team are stoked with this shot (courtesy of Jimmie Hepp) of Jesse Brown tearing it up a Ho\’okipa on the Panther Limited sail. When they aren\’t busy flying around in helicopters, Globalshots are also capturing some amazing photos of the epic action going on in Hawaii at the moment. Check out Part Four of the Maui Gallery on the Globalshots website HERE. Wrapping up this morning\’s action is a sick video from Ravine Blanche on Reunion Island. It looks as if April has delivered some good mast-breaking conditions to the break in the Indian Ocean!